PAMPLONA —21/08/2018— As ATP announced a few months ago, LED outdoor lighting family Aire® (series 3, 5 and 7) has obtained the certificates N, ENEC and CB for a voltage and frequency range of 220 - 240 V / 50 - 60 Hz and color temperatures from 2200 to 4000 K and PC Amber. These distinctions, obtained through AENOR after passing the corresponding tests in the Official Central Laboratory of Electrical Engineering (LCOE), guarantee IP66, IK10 and Class II categories in three territorial areas: national (N), European (ENEC) and global (CB). 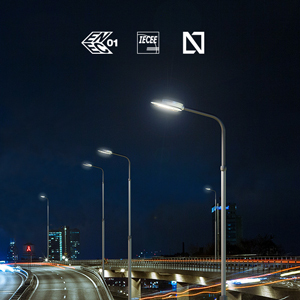 It should be noted that, although standard temperature for these trials is 25 °C, Aire® street light has been successfully tested at 35° C, that is, 10 °C above the conditions in which the luminaires from the rest of manufacturers are evaluated. In addition to the Aire® series, ATP has recently certified its Villa, Siglo, Plaza, Malaki and Enur families, and has announced its intention to also obtain the N, ENEC and CB for Metrópoli, Evolución and Chroma within the next semester. 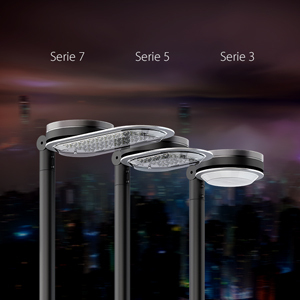 LED outdoor lighting family Aire®, as the rest of ATP luminaires, far exceeds the established scales to acquire the certificates N, ENEC and CB, and passes all the tests at a room temperature of 35 °C. This means that its durability and safety are guaranteed even in the most extreme conditions. The three series of the Aire® luminaire pass impact tests greater than 50 joules, which is more than twice the maximum set by IK standard –IK10, 20 joules–. ATP has coined the term IK10+ to describe this level of extraordinary resistance. On the other hand, the complete sealing –IP66– is not limited to the optical block but includes the entire luminaire's structure. Drivers and other internal electrical and electronic elements are thus completely safe from liquids and solid particles that could interfere in their correct functioning, ATP calls this IP66+. 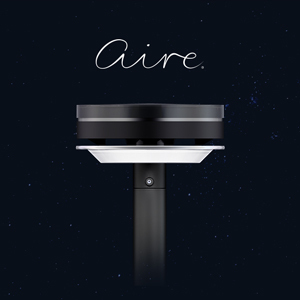 Aire® family, created specifically to maximize the advantages of LED technology while eliminating weaknesses such as overheating thanks to its Laminar Heatsink®, has been distinguished by its state-of-the-art and elegant design with the renowned German Design Award 2018 and the Design Plus powered by Light + Building, and also nominated for the imminent German Design Award 2019.